Check out all the photos from Ambassador Barzun’s talk on our Flickr album ! 07 December 2016 All the pics from Ambassador Barzun’s special lecture in honor of Gil Winant, former Ambassador to the United Kingdom, to the John Adams Society are on our Flickr page ! Remembering a great day of cricket in the garden of Winfield House, the official residence of the U.S. Ambassador. The teams were led by Mark Austin as Captain for the U.K. Press team and Piers Morgan as Captain for the U.S. Press team. Captain Austin won the coin toss for the UK press team and put Captain Morgan and his U.S team in to bat. After the first innings, the U.S Press team led were 100-5. Thank you to all the players, both professional and amateur for a memorable match! Photographic evidence is on our Flickr album. 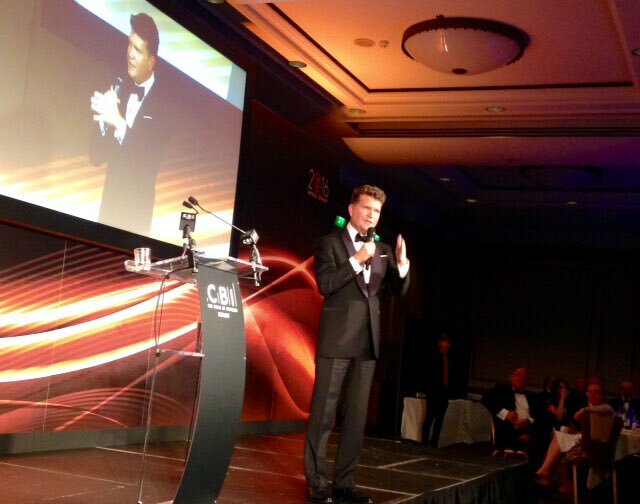 01 September 2016 Ambassador Matthew Barzun delivered the keynote speech at the CBI Scotland Annual Dinner (photo). Scotland’s STV channel has this report on the Ambassador’s speech last night. 16 March 2016 Coalition for Inclusive Capitalism (via HuffingtonPost) Speaking to the Huffington Post, Ambassador Barzun notes “A key step toward a more inclusive economy is..to engage in a more inclusive politics”. 11 May 2015 Magna Carta, 1776 and All That Ambassador Barzun delivered the twentieth Annual Douglas W Bryant Lecture at the British Library Eccles Center. Ambassador Barzun spoke about Magna Carta and the evolution of the rule of law. 17 March 2015 Ambassador Barzun’s Remarks at the Unveiling of Miya Ando’s Artwork at the Queen Elizabeth Olympic Park, London. The artwork is made out of some of the wreckage from the World Trade Center. 03 March 2015 Live at Leeds and across Britain, a new diplomacy is emerging “Just as in politics and entertainment, the rules of diplomacy have changed. The forces that influence attitudes are no longer centrally controlled, and opinions are formed through an array of social interactions and media. We have to inspire people who share our enthusiasm. As true believers in the indispensable role our special relationship plays on the world stage, we at the embassy are not waiting for our audience to come to us.” (This post by Ambassador Barzun originally appeared in online edition of The Telegraph). 15 February 2015 Keeping Us Safe Doesn’t Mean The End Of Our Digital Privacy As a new UK-U.S. cybersecurity drive begins, Ambassador Barzun explains how we can avoid a trade-off. 12 January 2015 U.S. ambassador to the U.K. goes on the (indie) record (ShareAmerica) The life of an ambassador is a busy one. Being the lead representative of a nation, negotiating policy, hosting visiting dignitaries, and staying on top of the local politics is a 24/7 job. U.S. Ambassador to the United Kingdom Matthew Barzun understands this. While maintaining the special relationship with his host country and preparing for a visit from U.S. Secretary of State John Kerry, Ambassador Barzun had time for an interview with Buzzfeed’s Jim Waterson in a record store in London’s Soho neighborhood. 27 November 2014 A Labor of Love Ambassador Barzun’s Thanksgiving Day address at St. Pauls Cathedral, Thanksgiving Day 2014. 10 November Poppies at the Tower: By People, For People Last month, Ambassadur Barzun had the honor of participating in the installation of the poppies at the Tower of London, officially called Blood Swept Lands and Seas of Red. 25 September 2014 Only global action can stop the rise of Islamic State This op-ed by Ambassador Barzun appeared in the UK’s Evening Standard on Thursday, 25 September 2014. 29 August 2014 Nato Summit 2014: ‘Barack Obama’s visit will be another profound moment in the history of U.S. and Welsh relations’ (via Walesonline.co.uk) This op-ed by Ambassador Barzun was published on Friday in the The Western Mail online. 27 August 2014 Ambassador Barzun’s first Welsh lesson! 24 May 2014 Let me be clear. This is still a very special relationship “Under this treaty, the U.S. has never refused a UK extradition request”. 04 December 2013 Photos from Ambassador Barzun’s Credentialing Ceremony (via Flickr). 28 November 2013 Ambassador Barzun’s Thanksgiving Day Message 2013 Remarks by Ambassador Barzun at St. Paul’s Cathedral, London. 29 October 2013 U.S. Ambassador Matthew Barzun tells of anger over Lockerbie bombing release (BBC) The new U.S. ambassador to Britain, Matthew Barzun, said there remained real anger in America that the man convicted of the Lockerbie bombing was released from a Scottish prison. But Mr Barzun told BBC Scotland’s political editor Brian Taylor that he bonds of friendship between America and Scotland far transcended the Lockerbie atrocity. 20 October 2013 Ambassador Barzun on Andrew Marr (BBC) and Sky News Ambassador Barzun was interviewed by the BBC’s Andrew Marr. Following the last-ditch deal to agree the federal budget Ambassador Barzun told viewers that “management by crisis needs to stop”. You can watch the interview on the BBC website or read the transcript (PDF). The Ambassador was also interviewed on Sky News by Dermot Murnaghan. You can read the transcript on the Sky website. 12 September 2013 Remarks at the Britishamerican Business Gala Dinner Lancaster House, London.